Youngduck Eun, Hyesun Jeong, Seungjin Kim, Wonseo Park, Byoungseon Ahn, Dongkeun Kim, Eunhee Kim, Eunhee Park, Sunhee Park, Inyeong Hwang, et al. Eunji Choi, Ha Na Cho, Da Hea Seo, Boyoung Park, et al. Epidemiol Health. 2019;41:e2019005. Songwon Seo, Wi-Ho Ha, Jin-Kyu Kang, Dalnim Lee, et al. Epidemiol Health. 2019;41:e2019004. Behjat Marzbani, Javad Nazari, Farid Najafi, Behnaz Marzbani, et al. Epidemiol Health. 2019;41:e2019003. Youngduck Eun, Hyesun Jeong, Seungjin Kim, Wonseo Park, et al. Epidemiol Health. 2019;41:e2019002. Unhealthy dietary patterns are the most important changeable risk factors for breast cancer. 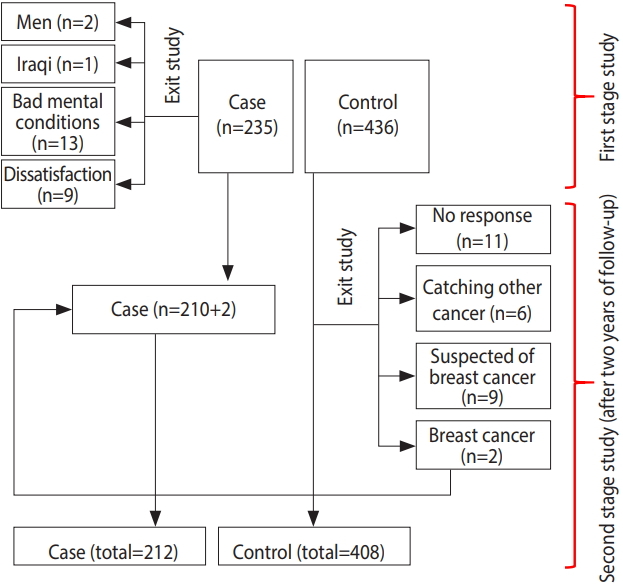 The aim of this study was to assess the relationship between dietary patterns and the risk of breast cancer among under-50 year women in the west of Iran. 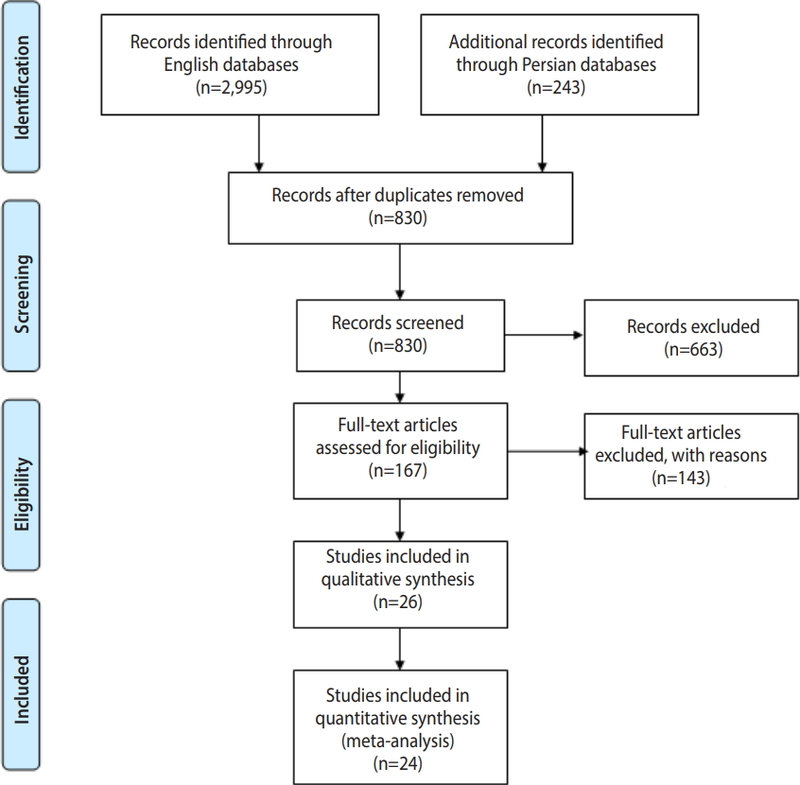 All women under 50 years old with pathologically confirmed breast cancer between 2013 and 2015 who were referred to oncology clinics in the west of Iran, and 408 under-50 women referred to other outpatient clinics who were without breast or other cancers at the time of the study and 2 years later were selected as the control group. 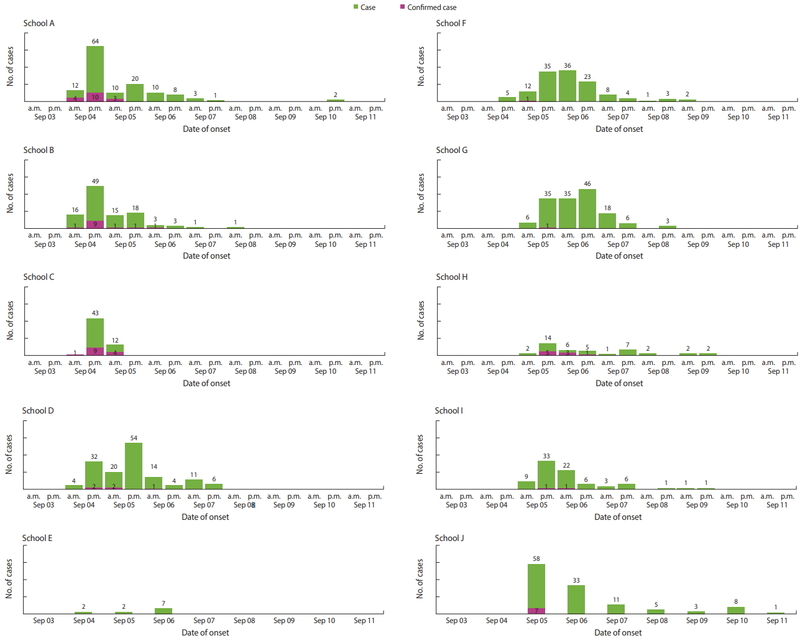 The data were collected using the middle-aged periodical care form of the Iranian Ministry of Health and analyzed using univariate and multivariate logistic regression in Stata. The most powerful risk factor for breast cancer was fried foods; the odds ratio of consuming fried foods more than once a month for breast cancer was 4.5 (95% confidence interval, 2.1 to 9.4). A dose-response model indicated that increasing vegetable and fruit consumption up to 90 servings per month decreased the odds of breast cancer, but consuming more than 90 servings per month increased the risk. Inadequate consumption of vegetables and consumption of soft drinks, industrially produced juices, fried foods, and sweets were identified as risk factors for breast cancer. In response to these findings, it is necessary to raise awareness and to provide education about healthy diets and the need to change unhealthy dietary patterns. This study aimed to reveal the epidemiologic characteristics of the outbreak of gastroenteritis caused by Salmonella enterica serovar Thompson in Busan Metropolitan City and to identify points for improvement to prevent of food-borne disease outbreak. This was a case-control study. The control group comprised asymptomatic students in the same classes of the cases. The presence or absence of symptoms, ingestion of each food provided by school meal service, and commonly ingested foods in addition to those foods in meal service were investigated. Moreover, specimens collected from rectal swab, preserved foods, and environmental surface were tested. Of the 6,092 subjects, 1,111 (1,083 students, 22 school personnel, and 6 foodservice employees) were included in the case group; this corresponded to an 18.4% attack rate. Symptoms included diarrhea (n=1,051, 94.6%), abdominal pain (n=931, 83.8%), febrile sensation (n=502, 45.2%), and vomiting (n=275, 24.8%). The epidemic curves of each 10 schools were unimodal. Investigation of food intake showed a significantly high odds ratio for chocolate cake in 5 out of the 10 schools. Laboratory test detected Salmonella enterica serovar Thompson both in rectal swab specimens of 9 schools and in collected preserved chocolate cakes of 9 schools. Pulsed-field gel electrophoresis test result showed that Salmonella enterica seorvar Thompson isolated from human and foods were the same. The source of infection for the Salmonella enterica serovar Thompson outbreak in the 10 schools of Busan Metropolitan City is chocolate cake. Traceback investigation for origin of contaminated food in food-borne disease outbreak and safety control during food production should be more enhanced. Samira Dodangeh, Ahmad Daryani, Mehdi Sharif, Shirzad Gholami, et al. Epidemiol Health. 2019;41:e2019001.